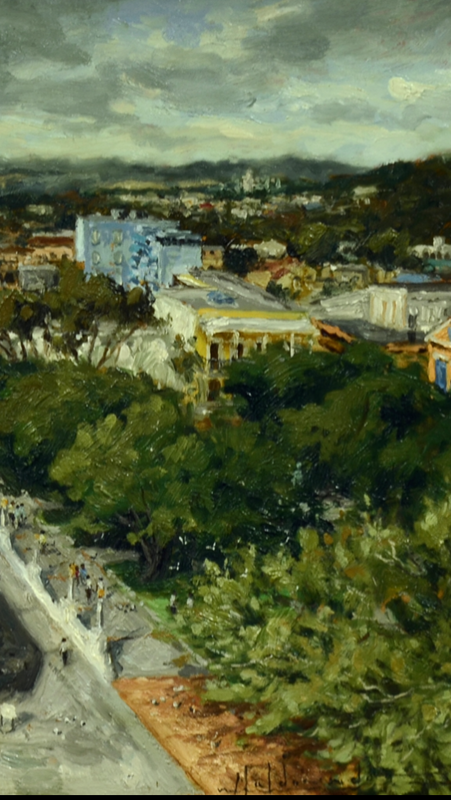 The first thing I notice in this painting was the compulsion to details, from the way light reflectes in each building, to the perfect selection of the respective colors of that particular location for the painting, even the way the clouds where painted gives the spectator an optical illusion of movement making this interpretation of Ponce into a very complex art work which is not easily master by any modern artist. Note: Please Expand picture above and below to visualize details…This painting has a good textures quality to it, you can even appreciate every brush stroke made by the artist while maintaining a subtle composition. There’s a mystical pattern in the blue sky which gives the spectator a suggestion of air flow through the sky. Even in the the tree’s we can notice different transition of green color tone as a suggestion of the different year seasons. Something that I Really liked of this painting is that if you pay attention you can notice people walking in the street as a casual sunday morning. The Building have been incorporated with balcony’s in every floor like the original building at Ponce. Ten Weeks was the time spent on the creation of this art work, in my opinion time well spent because the grade of complexity that the artist achieve in this painting is phenomenal. Lets not forget that this painting only measure 8 by 16 inches and all the little details are perfectly executed inside this small wood board which is not a simple task. I will mention again the word “Details” and the reason I do this is because a Costumbrismo painting like this should always have great pinpoint details, but what about a drawing? Is not that simple as painting, where you can used texture, color, or even a palette knife and your done. 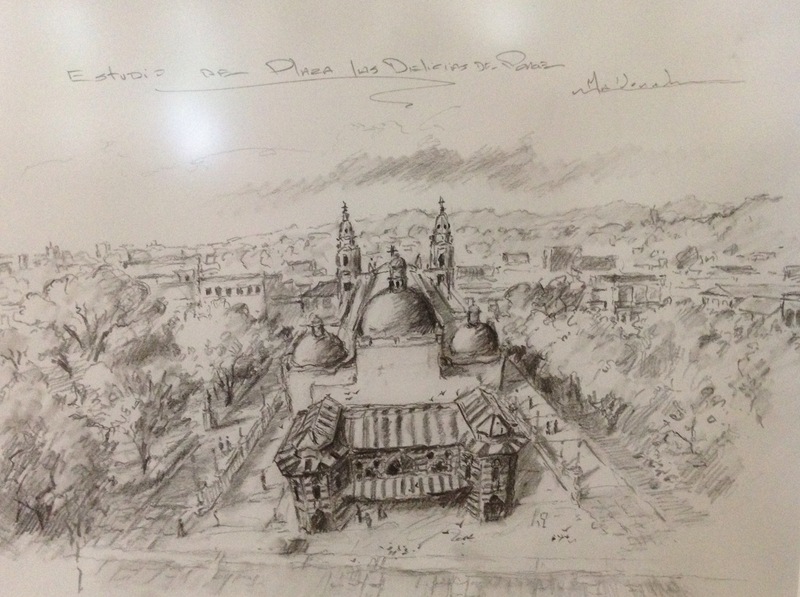 On a drawing the artist only has white as a background and a competent artist will need to incorporate this white as light and adjust the traceline of his pencil to give a balance depth and shadow at the same time, the next drawing is without doubt and impressive analysis of Plaza las Delicias. 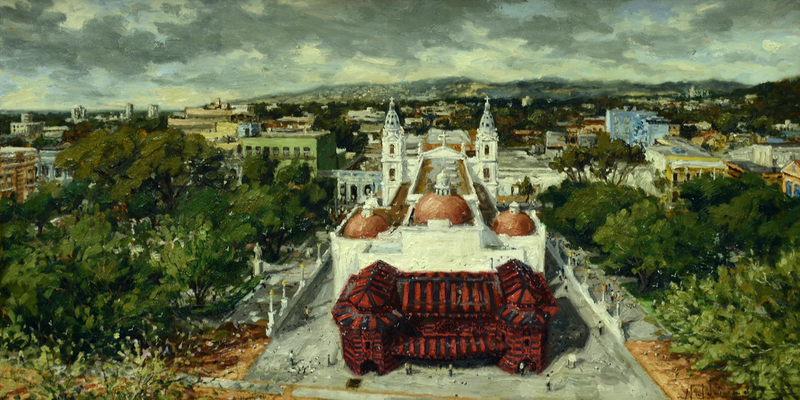 Plaza las Delicias Painting reminds me of another famous costumbrismo painting called “Los Coches de Ponce” by Miguel Pou in which without doubt was the most important painting of his art career and this painting for the moment is one of Maldonado’s if not his best work to date. 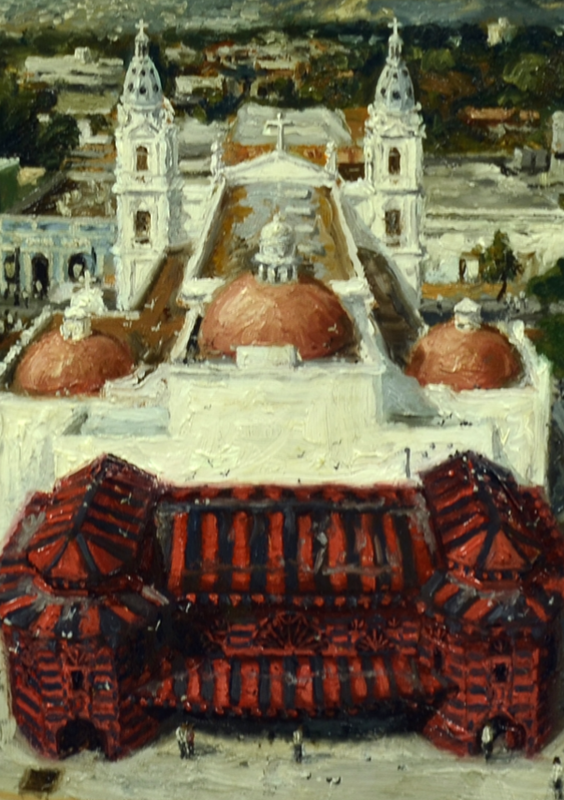 To me this painting is worthy of any Museum in Puerto Rico, and surely can be consider a pride piece painting for any private collection. 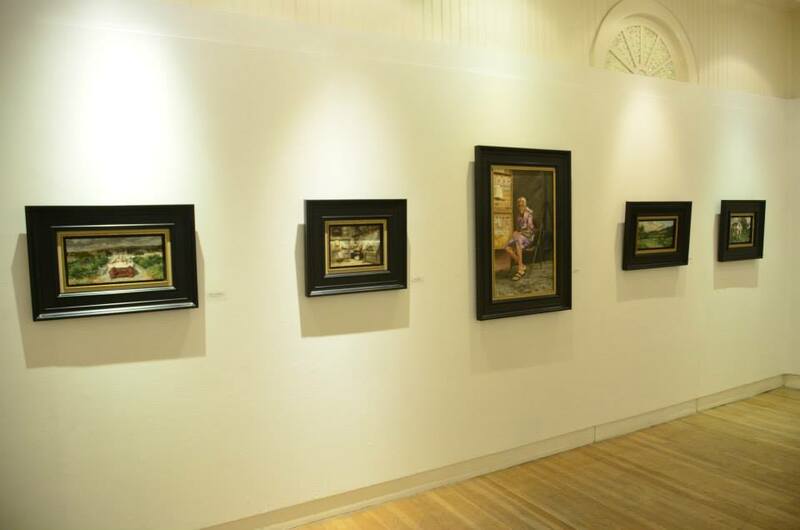 It make a perfect example of what costumbrismo movement should be in modern time and thats why choosing William Maldonado’s work as painting of the month was a no brainer.